Weight Loss Mission – The Exante Diet - Reclusive Fox ""
I’ve been working to lose weight for several weeks now. For the past couple of weeks I’ve been wearing the Malory Band on a daily basis, continued to walk and to avoid certain foods (cakes are still entering my diet but chocolate isn’t so that’s a small victory right there). Another technique I’ve been trying is food replacement in the form of the Exante Diet, and here’s how I got on. According to the Exante website there are several different diet plans to choose from, depending on your BMI and your goals. Some were rather extreme so I choose the Simple Solution. This diet plan is a basic low-calorie diet where you’re able to have three Exante diet products of your choice alongside your regular calorie controlled meals or snacks totalling 600 calories. With the meal replacements and additional foods the total daily amount of calories you consume is 1200. This diet plan is suitable if you have a BMI of 20 or more, so it’s perfect for me as mine is sitting around 23 at the moment. When using this method it’s important to still make healthy choices when it comes to the foods you eat outside of the Exante products, and you’re recommended to try and exercise for 20 minutes a day, especially if you want to speed up the weight loss process. If you need to lose more weight (or have a higher BMI) you can pick a more suitable Exante diet plan, but Exante does recommend you speak to your doctor first (which is a good thing). As I have a sweet tooth I have to admit I wasn’t keen on the soup or the risotto. They did smell good but I am not a soup or risotto fan so these two options were never going to go down well with me. However, the packs were really easy to put together and I’m sure if you liked that kind of food you wouldn’t have any complaints. The good news is you are able to pick and choose the foods you want to include in your diet, and there are loads of really interesting dishes to keep even the pickiest eaters happy. The choco balls sounded delicious on the packet, chocolate balls, what’s not to love? Well, I have to say I didn’t like the balls and I gave my second potion to G to try. I’ve never been known to hand over chocolate to anyone, not even my last Rolo, so I think this act of kindness speaks volume. I found the balls very hard to bite into and they tasted very strongly of cocoa powder rather than of chocolate. Perhaps I was expecting too much? G actually liked them and popped them down with full satisfaction. He’s a fan of bitter chocolate so if you have the same sweet tooth as he does I think you’d be quite happy with this as one of your three Exante options for the day. 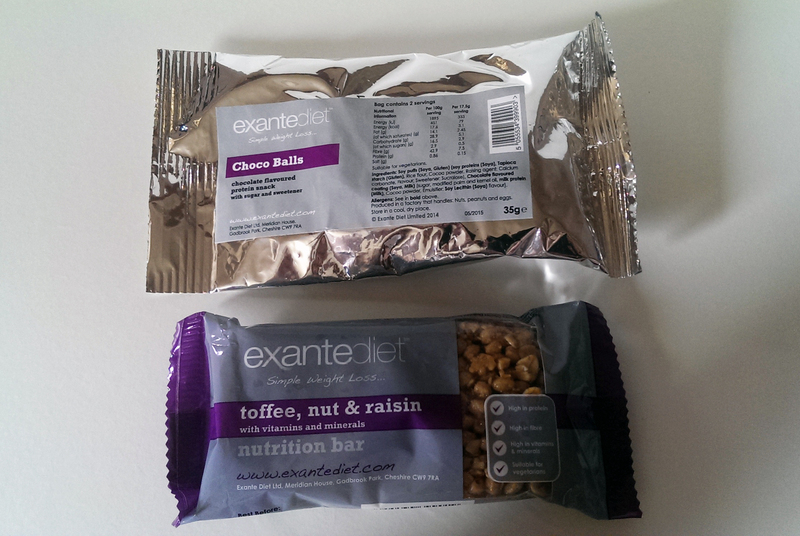 So far my experience with the Exante Diet doesn’t sound too good, but it’s not all bad. My favourite meal replacement was the Banana shake. I mixed the packet with 200ml of cold water and the resulting shake was creamy and absolutely delicious. I would drink it as a normal shake any day of the week. Had my sample pack included two days worth of shakes I would have been 100% happy. The shakes are where my interest in the diet really kicked off as I could easily drink three shakes per day as well as some healthy food. My only complaint regarding the shake was the mixing process. It did take some time to get rid of all the lumps and mix the powder fully into the water when using the Shake bottle, I had to get a fork and scrap the powder off the bottom of the bottle several times. There were a few lumps left even after about ten minutes of shaking too. The instructions on the pack do recommend using a blender or a whisk and I suggest you follow these instructions. I can overlook this problem though as there is a solution and as I said the flavour of the shake was simply divine. The Peach Drink Mix is something I really appreciated. As I don’t like the taste of water I am a big squash drinker. The peach drink comes in a small tub that contains about 30 servings, about the same as a normal bottle of squash. 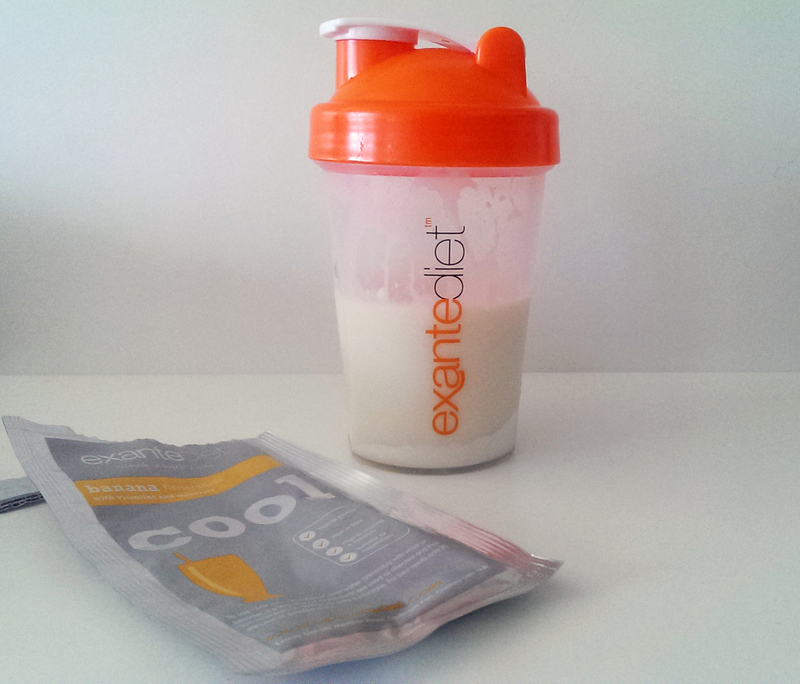 The peach mix only contains 0.4g of carbohydrates and this is designed to complement the diet. The flavour is good and you can treat it just like normal squash, turning it into ice lollies or using hot water for an alternative hot drink. 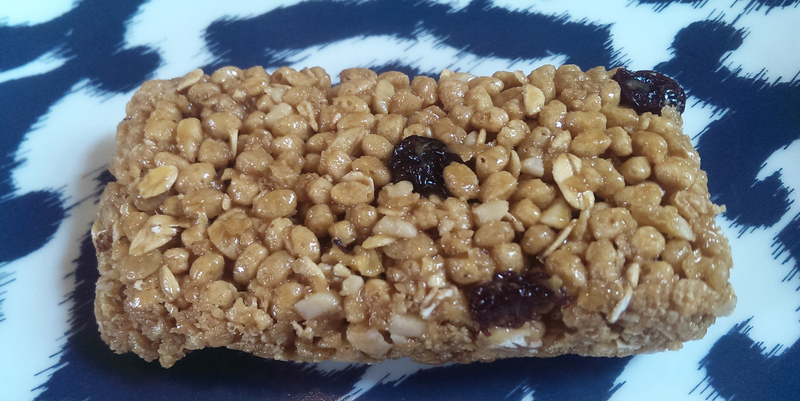 Another plus point was attributed to the Toffee, nut and raisin bar. I thought it would be quite hard to bite in to but it was soft, chewy and delicious. The bar was more filling than the milkshake and it kept me satisfied for around three hours before I felt peckish again. With only two days’ supply of the Exante Diet it’s impossible for me to share a great weight loss success story. I would need to go on the diet for at least four weeks for me to share any successes or failures with you. I do think just four weeks of the diet would see me hit my goal though and I would enjoy being on it. What I can tell you is I did find the three products plus a main meal did leave me feeling full and satisfied for the entire day. I didn’t snack and I didn’t feel the need to, which is something I’m not used to. I am a grazer, especially at night, so I did enjoy this aspect of the diet. I also like the fact that you can divide your permitted 600 calories into one main meal or snacks. What I really love is the amount of options you have when it comes to your meal replacements. I’m especially interested in all of the shakes along with the porridge oats, there are also some pancakes that sound totally scrummy. However, if you prefer more savoury options you have them too, everything from sausage mix to shepherd’s pie and Carbonaro. After the two-day diet I weighed myself and in the entire week I did lose 3lbs, so I now only have 4lb to go. I can’t put it down entirely to the Exante Diet plan but perhaps it did play a small part. 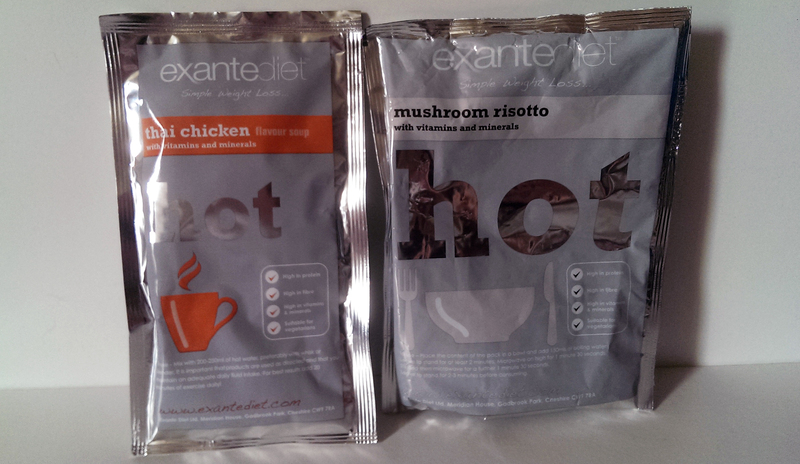 I was sent the Exante Diet Products to Review but all my opinions are my own. I know where you’re coming from. I do think the balanced diet is the best route but I’ve been interested in the meal replacement idea for a while so I’m glad I got to try it out. My ex’s step daughter managed to lose a couple of stone using slimfast and now she’s off it, eating healthier and working out to keep her new great shape so they can be a good starting point for people who find it difficult. Well done on your success so far! I have always believed that there is a weight loss method out there to suit everyone, but it is down to personal motivation too. Sounds like you’ve got that bit sorted! Thanks Lucy – I am motivated but still incredibly lazy at the same time…I should be doing crunches and sit ups but the bed is so much more comfortable! Sounds really interesting. I recently reviewed 4wks of lighterlifeFAST and am currently reviewing 4wks of diet chef. I agree that 2 days isn’t really a great period to review with but at least you can grasp the liklihood of you doing it in the future. Just one more beneficial piece! Here is a good tip with regard to weight loss: Sharing a meal with someone when dining out. Many times, restaurants will have servings that are too much for just one person. Split the meal with someone who is dining with you instead. This will help you lose weight and save money.